Removing the popcorn material off of your ceiling is not a difficult task, but it does require much work and preparation. Hiring a contractor is one option but we are going to show you below how to remove a popcorn ceiling yourself. 1. Protect the floor and larger furniture with plastic drop cloths. Relocate small and medium sized items to be out of the way. pieces with a drop cloth to avoid the material falling on them. aged material and minimize dust in the air while you remove the material. Do not soak the ceiling, just get it nice and damp. If you soak the ceiling with water it will damage the paper surface of the wallboard underneath. 3. Scrape the ceiling with smooth long strokes. 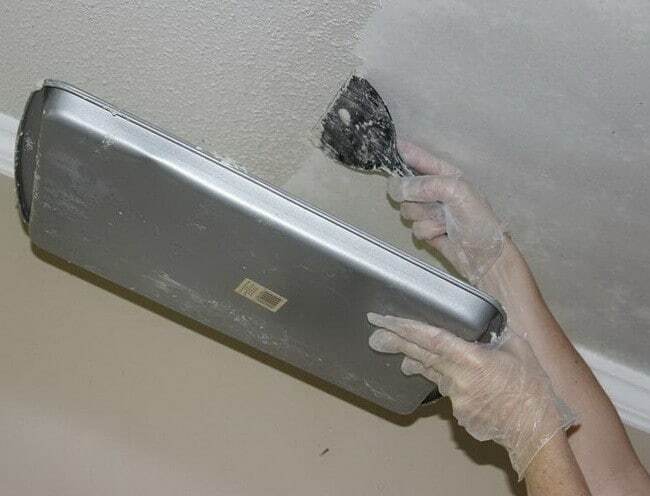 Apply even pressure on the ceiling when scraping. Continue along the entire surface of the ceiling until the popcorn is gone. texture before wetting to expose the underlying surface. Then wet the surface once the painted material is gone. 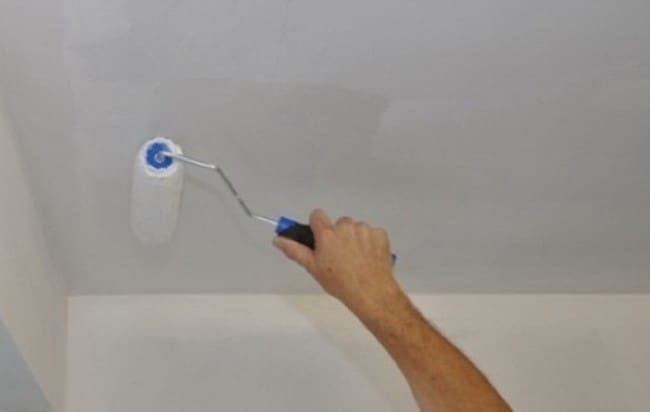 sand the ceiling smooth and apply a primer coat of paint to seal and make the ceiling uniform. MORE TIPS – Preparation is the vital key and makes the job much easier. Covering the furniture is the biggest part besides actually scraping the material off. 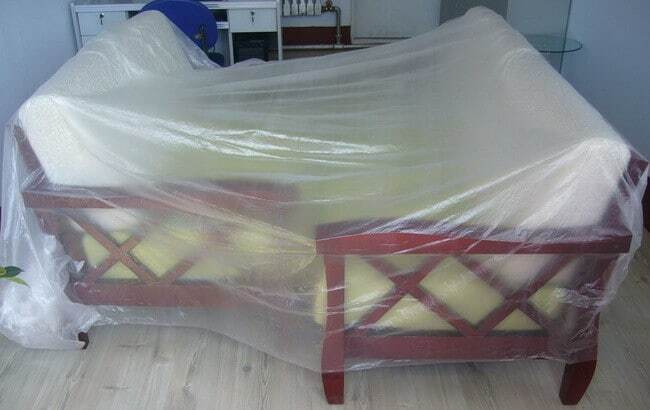 Cover your floors and furniture with plastic sheeting drop clothes. Also, do not forget to remove the light fixtures from the ceiling. 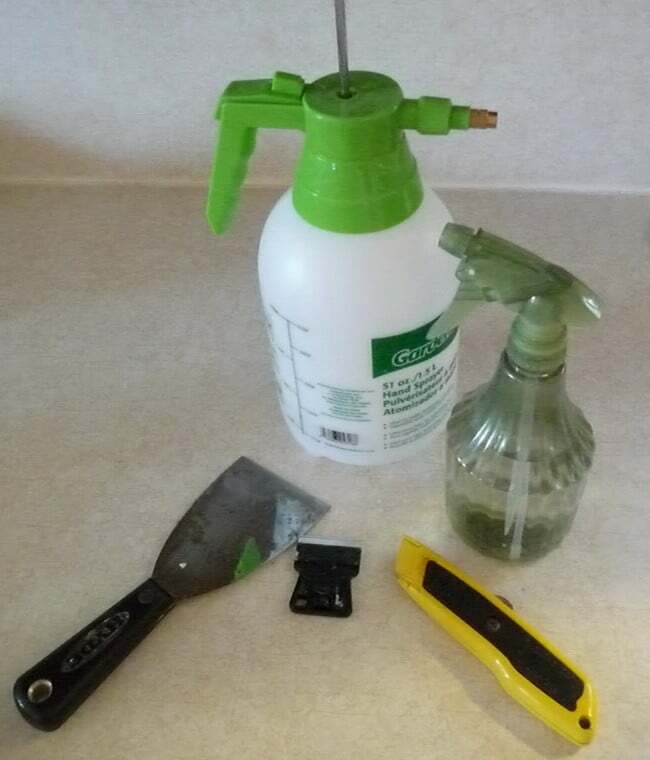 There is a new product out that can make this job much easier. 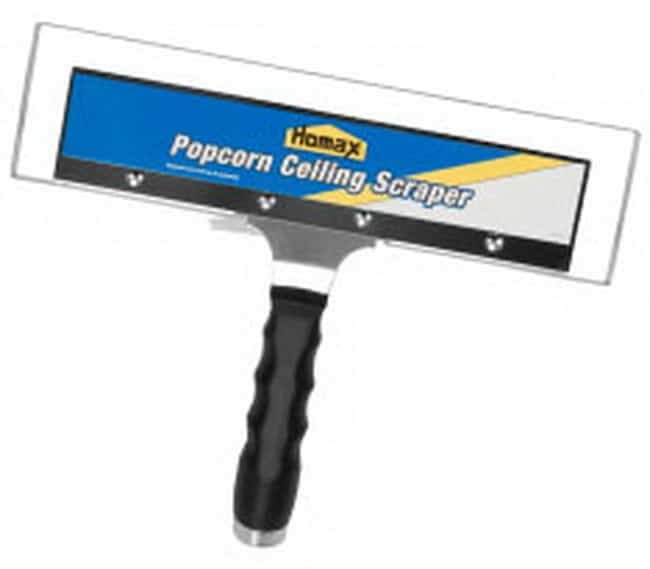 The tool is the Homax 6100 Ceiling Texture Scraper . This scraper is very wide making the job go faster but better yet it has a bag that attaches. to it that actually catches most of the material that would be falling onto the floor. 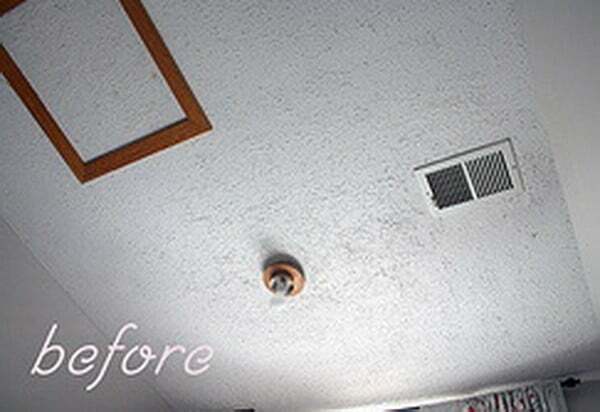 This product can also make it easy when removing popcorn ceiling texture. 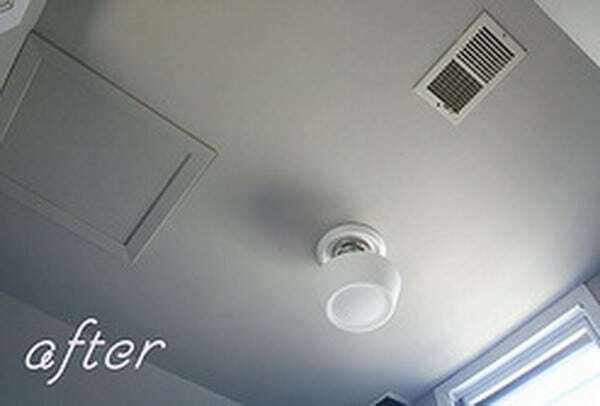 catches all the ceiling and or wall particles so not to make a mess. WARNING: Ceiling texture that was applied before 1979 should not be removed without having it tested for asbestos. Asbestos fibers can cause serious health problems including cancer. Before the 1980’s, asbestos was used in construction materials and manufactured products, including popcorn ceiling textures. Contact the EPA for more information or have it tested by a professional testing company. How can I remove painted popcorn ceilings. If not painted I usually just put water on it and scrape it right now. But this one, the water doesn’t absorb it and it don’t loosen it up. What can I use that is quick? Have you tried the large razor scrapers? What are you using to scrape the popcorn texture off now? Have to say that we couldn’t get this to work. All other direction were right on. Tape everything off, use the heavy platice you would buy when you paint. A lot of work but looks great when all done.